A trip to Muir Woods has long been at the top of my list of things to see and do in San Francisco. 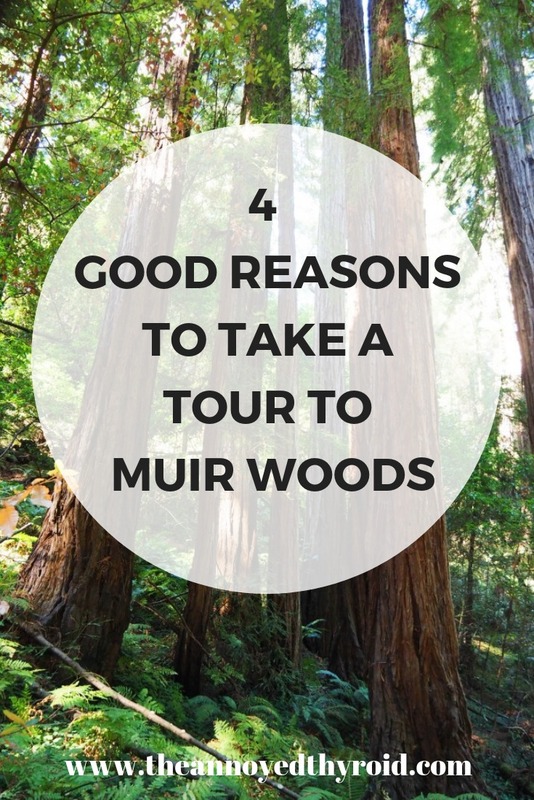 I chose to take a tour to Muir Woods because I wanted all of the fun and none of the stress. Getting to the woods with or without a car can be tricky. There is a shuttle but it only runs on weekends and holidays (with the exception of peak summer season) and although it’s possible to drive to Muir Woods, the road is very windy and private vehicles must book a parking area in advance. So if you don’t have a car and you can’t visit on a weekend, a tour is the way to go! Opting for a time saving half day tour gave me so much more that a walk in the woods and here are four reasons why. Who doesn’t love a bit of a lie in and a hotel pick up? 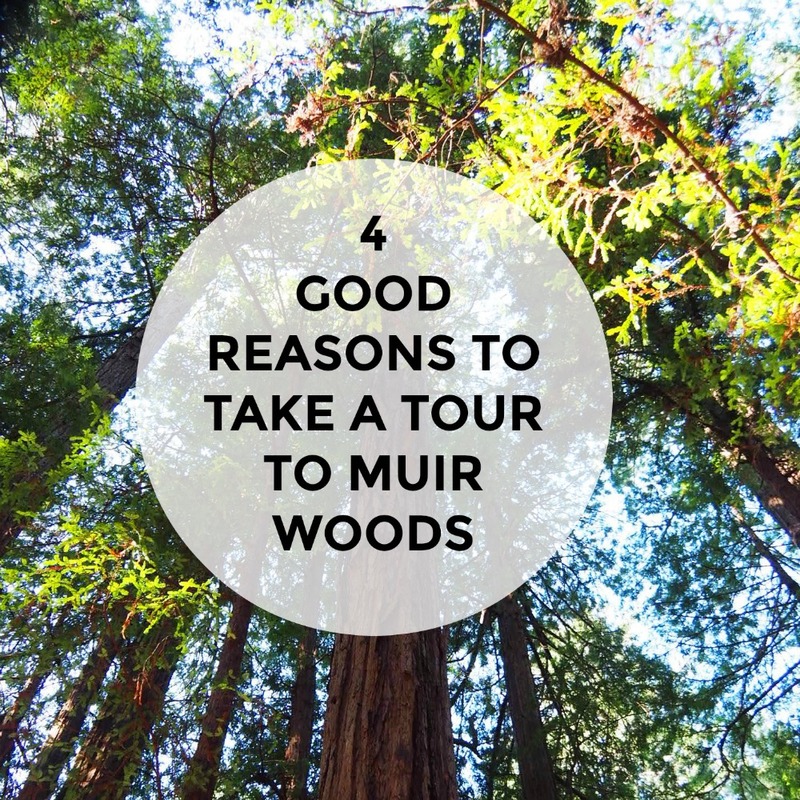 Because you get both with this half day tour to Muir Woods. My guide Lars was right on time at 9.30 and as we had a couple of other peeps to pick up, we got a bonus tour of the city. When it comes to San Francisco, Lars knows what’s what! It turns out driving across the Golden Gate Bridge is just as exciting as walking or cycling across only it’s a lot more comfortable! The bridge was built through the great depression, construction began in January 1933 and it was opened in May 1937. 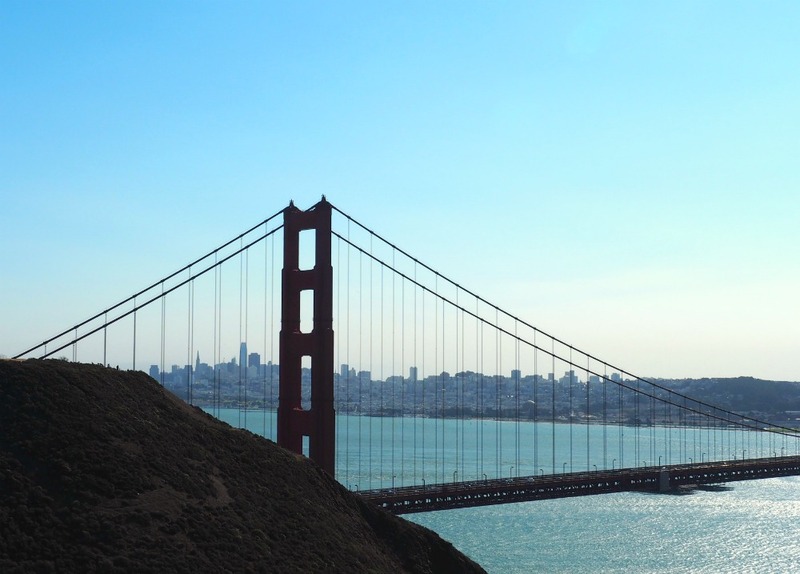 In case you’re wondering, the paint colour is called International Orange and it was chosen because of the way it complements the natural surroundings and because it would be easy to see in that pesky San Franciscan fog. Of one thing I’m certain, it sure is pretty at sunset. It’s a bit tricky to get pictures while the van is in motion but Lars stops at a lookout in Marin Headlands for some amazing Golden Gate views. It’s still my second favourite bridge! 3. 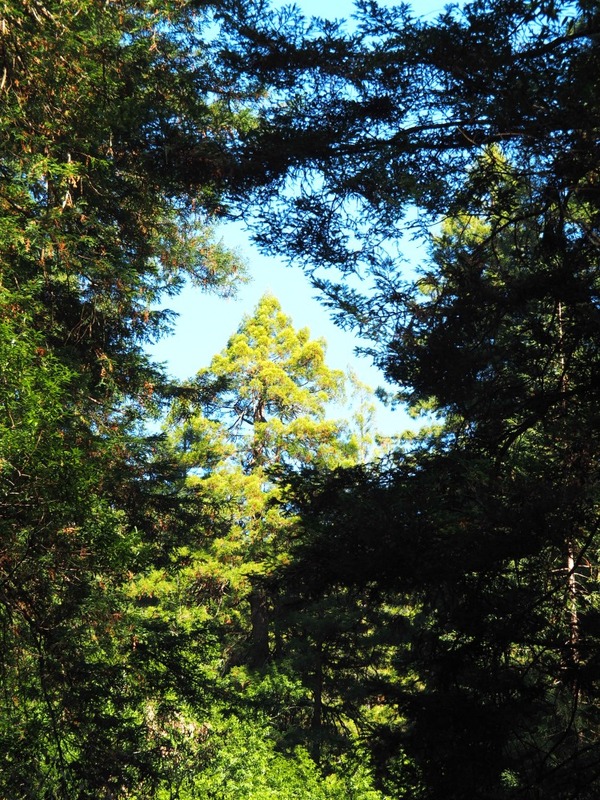 Explore the redwood trees of Muir Woods at your leisure. Before long, we’re at the Bay area’s most popular national monument and home to some of the oldest and tallest trees on Earth – Muir Woods. It’s mid-morning and the perfect time to take a walk in the woods – we have almost 2 hours to explore the trails. Once we get to the monument and we each pay the park rangers the $10 entrance fee, we’re free to explore the woods on our own because this part of the tour is not guided. I have the world’s worst sense of direction but even I don’t manage to get lost in Muir Woods. There’s not as much signage as I might have hoped for but I do have a map, there are lots of people around and I have a walking buddy from my tour group. I’m a big believer in safety in numbers! The main trail has a boardwalk and runs along the shadowy Redwood creek. There is a half hour loop, a one hour loop, and a one hour and a half loop. There are more challenging trails but we don’t have time to tackle them and besides the tallest trees grow along the main trail which suits me just fine. I don’t see the tallest tree (measuring in at 79m) in Bohemian Grove nor do I get to hug the widest tree (4m in diameter) but I do feel way more vertically challenged than usual. 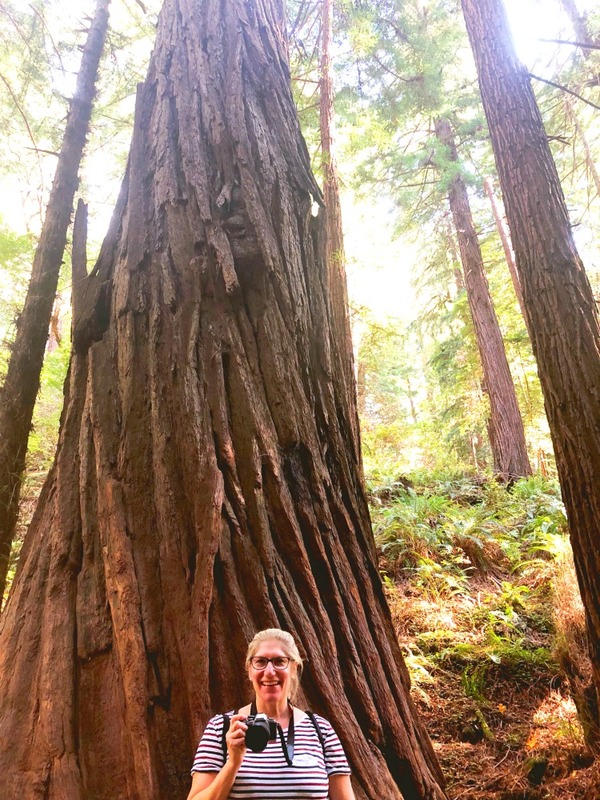 I think even the Golden State Warriors basketball team would feel dwarfed by these redwoods. The trees here aren’t just extremely tall, they’re also extremely old. The oldest tree in Muir Woods is over 1000 years old although most are aged 400-800. I love to look up and am obsessed by the canopy but seriously these trees are so tall, it’s easy to get a crick in your neck! Lucky then that there’s plenty to look at on the ground level too although I’m pleased to report we don’t see any banana slugs! 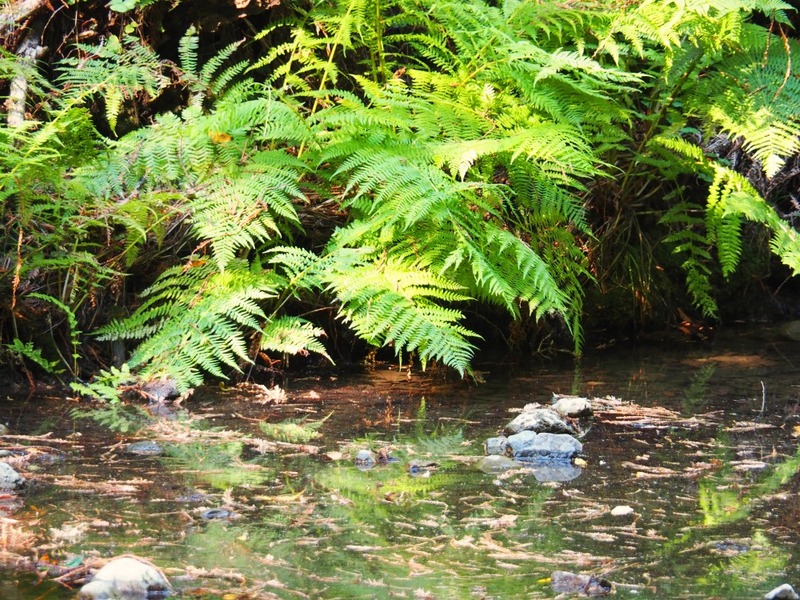 We actually don’t see or hear any birds either, apparently this is because the amount of shade in a redwood forest means fewer flowers, berries and seeds, and a reduced food supply for birds. 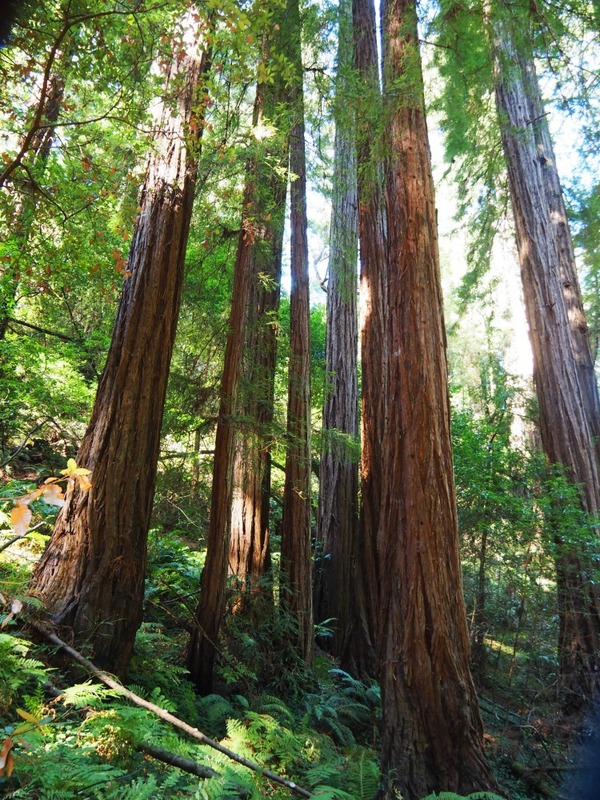 Redwoods are also resistant to insects, which limits the pickings for insect eating birds too. After a quick look around the shop where almost everything for sale that can be made of wood is made out of wood and a quick bathroom stop (note the gift shop restrooms are more pleasant than the ones near the parking lot) we’re back on board the bus, all present and accounted for! All that bushwalking has worked up quite an appetite so we take a short drive back to the pretty seaside town of Sausalito for lunch. With it’s multi million dollar real estate, boutiques, art galleries, restaurants and water views, it’s well worth a visit. We don’t just have lunch options here, we have transport options too. You can upgrade your tour with a return ferry ticket or you can ride back downtown on the bus. The Sausalito ferry ride is picture perfect and I highly recommend it if you haven’t done it before. 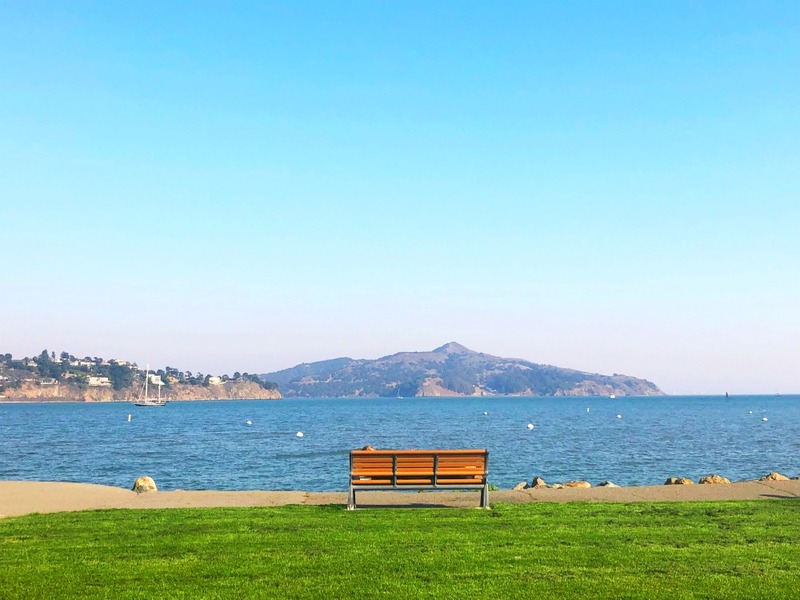 The ferry is also a great option if you want more time to explore Sausalito at your leisure. 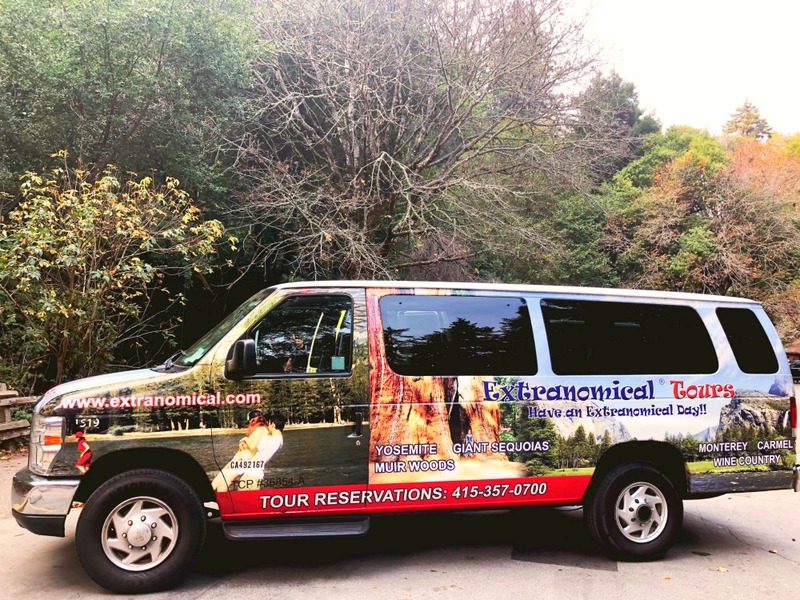 However, if you’re short on time like me, or wanting to combine your Muir Woods Tour with a Extranomical city tour, your best bet is to hop back on the bus. 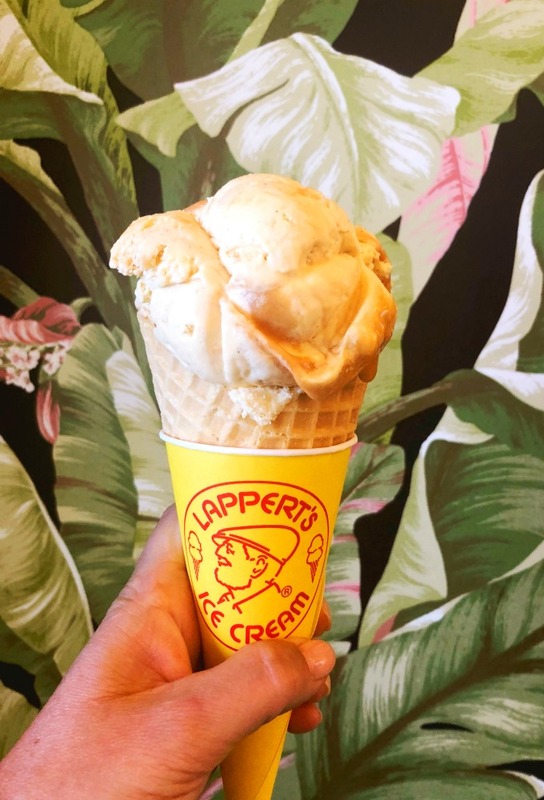 Either way, there’s enough time for lunch, or in my case, enough time for an ice cream from Lappert’s. What can I say? It’s one of my favourite scoops of San Francisco! All good things come to an end, even half day tours to Muir Woods and this tour ends in Fisherman’s Wharf. 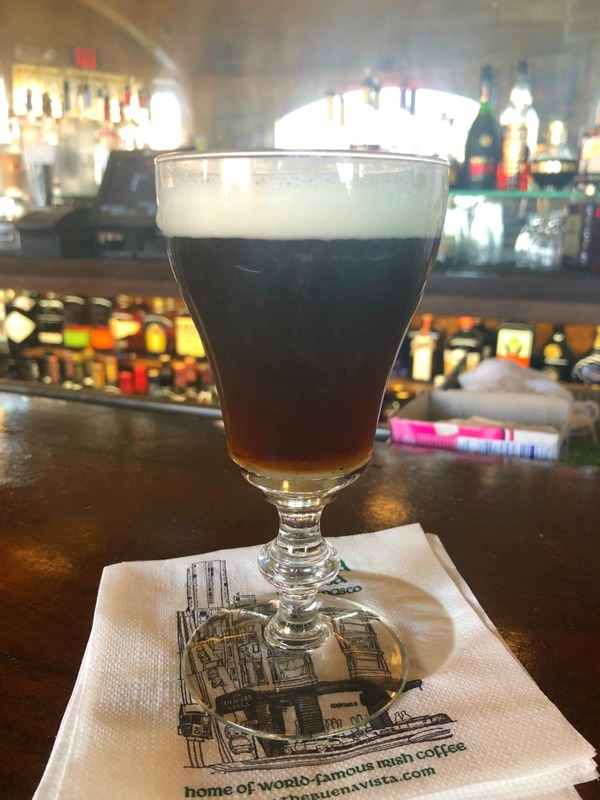 There’s a plethora of sightseeing, shopping and eating options here but I only have eyes for The Buena Vista Irish Coffee. It’s the perfect end to a half day on the bay! I joined the Half Day Muir Woods Tour as a guest of Extranomical Tours but as always all opinions are honest and my own.